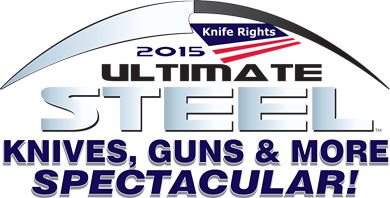 Completed 2015 Ultimate Steel™ Knives, Guns & More Spectacular! Click to view larger image and full details. NOTE: Firearms will not be shipped directly to winners, but must be shipped to a Federal Firearms Licensee (“FFL”). Winners can only take possession of firearms from the FFL. Winners must comply with all applicable legal requirements prior to taking possession of firearms. Winner is responsible for shipping charges and any fees charges by receiving FFL. Click for complete rules. Click photo to view larger image and full details. ESEE Cutlery ESEE 6P Fixed Blade donated by ESEE Cutlery autographed by Col. Oliver North PLUS another ESEE 6P to use! One for SHOW, One for GO! TOTAL RETAIL VALUE: $423 – Autograph PRICELESS! ESEE Cutlery ESEE 6P Fixed Blade donated by ESEE Cutlery autographed by Sheriff David A. Clarke, Jr.
TOTAL RETAIL VALUE: $212 – Autograph PRICELESS! Becker Knife & Tool BK-7 Combat Utility donated by KA-BAR Knives autographed by by NRA Executive Vice-President Wayne LaPierre PLUS another BK-7 Combat Utility to use! One for SHOW, One for GO! Silver Stag D2 Crown Pacific Bowie donated by Silver Stag Knives autographed by NFL Redskins Legend and staunch Second Amendment supporter Dave Butz PLUS another D2 Crown Pacific Bowie to use! One for SHOW, One for GO! “What is a Redskin without a knife? It is all about freedom and it is time to stand together for freedom. NOTE: Airfare NOT included – Click on “View Full Details” for more. including photos of our previous winner’s safari! NOTE: This prize CANNOT BE SHIPPED to NY or NJ residents due to their states’ ivory ban that includes 10,000-year-old Mammoth Ivory. Boker Limited Edition Twisted Damascus Swiss Dagger donated by Boker USA, Inc.
Click placeholder for full details. KA-BAR Limited Edition Historic E.W. Stone Fixed Blade donated by KA-BAR Knives, Inc.
including a video on the WWII history and remaking of this famous knife from E.W. Stone’s original molds. NOTE: This prize CANNOT BE SHIPPED to NY or NJ residents due to their states’ ivory ban. NOTE: Cigar Cutter CANNOT BE SHIPPED to NY or NJ residents due to their states’ ivory ban that includes 10,000-year-old Mammoth Ivory. Custom Queen Cutlery Damascus Bill Ruple Trapper – Buffalo Horn donated by Queen Cutlery Co. Custom Queen Cutlery Damascus Bill Ruple Trapper – Stag donated by Queen Cutlery Co.
Click snapshot to view larger image and full details. Winners have been drawn. Each Winner’s Choice winner will be notified one at a time to select their prize. Since we cannot move to the next Winner’s Choice winner drawn until the current one selects a prize or 48 hours have passed, this may take weeks or months. Thank you for your patience. NOTE: Prizes are shipped in batches to ease the logistical burden. Please allow six weeks for shipping. In the case where a winner has been drawn multiple times, shipping will be delayed until the additional pick(s) is/are made and all prizes will be shipped at the same time. Some prizes are shipped direct from the donor. Winners have all been drawn and posted. All Early Bird prizes will be shipped by June 30. NOTE: Some prizes are listed as a “set” or “package” and includes all items listed. For items that are valued as “each,” multiple identical prizes are being offered. Click photo to view larger image and full details..
Queen Limited Editon Joe Kious Hunter Burnt Stag Bone Handles 1 of 100 donated by Queen Cutlery Co.
Benchmade Model 3320 Pagan Double Action OTF Automatic donated by Benchmade Knife Co.
Benchmade Model 761 Ti-Monolock framelock folder donated by Benchmade Knife Co.
Schatt & Morgan File & Wire Series Deluxe Quart Barlow PLUS File & Wire Series Deluxe Pint Barlow donated by Queen Cutlery Co.
Queen Stag Bone Folding Hunter PLUS Limited Edition 1/100 Sheffield Jack donated by Queen Cutlery Co.
Queen City Limited Production Sway Belly Trapper 1 of 300 PLUS Limited Edition 1/100 Sheffield Jack donated by Queen Cutlery Co.
Queen Limited Production Feathered Buffalo Horn Split Back Whittler 1 of 500 PLUS Limited Edition 1/100 Sheffield Jack donated by Queen Cutlery Co.
Benchmade Model 51 Morpho Bali-Song donated by Benchmade Knife Co.
Hogue Knives Model EX-01 4″ Drop Point Button Lock folder donated by Hogue, Inc.
Hogue Knives Model EX-02 3.75″ Spear Point Black Liner Lock folder donated by Hogue, Inc.
Hogue Knives Model EX-02 3.75″ Spear Point Green Liner Lock folder donated by Hogue, Inc.
Hogue Knives Model EX-03 3.5″ Tanto PLUS EX-F03 Hawkbill Neck Knife donated by Hogue, Inc.
Click placeholder to view full details. EKA Swede T9 tactical folder PLUS EKA Viking COMBI SAW 17in donated by Proforce Equipment, Inc.
EKA Nordic T12 fixed blade donated by Proforce Equipment, Inc.
Benchmade Model 531 AXIS-lock folder donated by Benchmade Knife Co.
Prize winners must be U.S. residents at least 18 years of age who have made one or more qualifying contribution of at least $20 each to Knife Rights, Inc. (“KR”) during the eligibility period. Winners of firearms or knives must not be prohibited from owning or possessing them under applicable laws. No more than three (3) prizes will be awarded to any one person in each of the Early Bird Bonus Drawing and Main Drawing. No more than one (1) prize will be awarded to any one person in the Tail End Drawing, if held. A Tail End Drawing is not guaranteed to be held. You can donate as often as you like, but each donation is separate and independent from previous donations and will only entitle you to the number of entries specified at the donation level you have selected at the time of each donation. Each donation must include full name, donation amount, address and phone number to be valid. Winners need not be physically present at the drawing to win. Firearms will not be shipped directly to winners, but rather to Federal Firearms Licensees (“FFLs”) specified by winners (or selected by KR, in KR’s sole discretion). Winners can only take possession of firearms from the FFLs. Automatic knives will not be shipped directly to winners unless a legal recipient under 15 U.S.C. §§ 1241-1245 and 18 U.S.C. § 1716(g), but rather to an authorized dealer in eligible winner’s state from which winner can claim prize. Some prizes are subject to additional limitations that are included in prize description. Claim to prizes is not transferrable. The odds of winning varies based on the number of donations and amounts donated. Winners will be drawn on or after August 1, 2015, for the Main Drawing. Early Bird winners will be drawn on or after May 1, 2015. If held, Tail End Drawing winners will be drawn on or after August 1, 2015, immediately prior to the Main Drawing. A minimum of the first 75 winners drawn in both the Early Bird and Main Drawings, and the first 5 winners in the Tail End Drawing, if held, will have first choice of prizes available after any prior winner(s) have selected, in the order in which such winners were drawn (“Winner’s Choice”). At KR’s option, additional Winner’s Choice prizes may be awarded. Accordingly, the final posting of winners may take up to 180 days post drawing. Winners must comply with all applicable legal requirements prior to taking possession of firearms or knives. Winners are solely responsible for determination of legality. If for some reason winners cannot comply, prizes will be held for 30 days and then will be forfeited and returned to KR. Winners of firearms are responsible for shipping charges, transfer fees to FFLs and any other applicable fees and may be required to prepay such expenses by valid credit card or other method to be determined in KR’s sole discretion. All prizes other than firearms will be shipped at KR’s expense via a shipping method of KR’s choice, signature required at KR’s option, to the addresses provided by winners, insured. If delivery is not completed on original shipment, regardless of fault, winner is responsible for any redelivery charges. Winners are hereby warned not to sign for delivery without the package in hand and undamaged. Winners who do not respond to a delivery notice, regardless of reason, are responsible for any redelivery charges. Winners of prizes after the Winner’s Choice prizes are selected will be sent their prizes without prior notification to the address provided. It is donor’s responsibility to notify KR of any change in address. KR is not responsible for lost, damaged, stolen or undelivered prizes, regardless of cause, and winners agree to look solely to insurance with regard to same. KR is not responsible for reimbursement of any insurance deductible, which may be in an amount of up to $500. Risk of loss or damage is solely with winners. KR will attempt to notify all Winner’s Choice winners using the contact information supplied. It is donor’s responsibility to notify KR of any change in contact information. Any prize not claimed by a Winner’s Choice winner within 48 hours from KR’s first attempt to notify the winner will be forfeited and all other winners drawn will move up one place in priority. If a Winner’s Choice winner that does not respond within the 48 hours later contacts KR, they will be offered the choice of prizes then currently available if within the Winner’s Choice draws, after the current notified winner selects a prize. All entries and donations are non-refundable and will become the sole property of KR once submitted. Acceptance of a prize constitutes winners’ permission for KR to use winner’s name and likeness for KR promotional purposes without additional consideration. If payment of any donation is rejected, denied, returned for insufficient funds, refunded for any reason or otherwise not made, and the responsible party does not subsequently make full payment plus processing fees of $25.00 that clears no later than 7 (seven) days prior to drawing, the entries related to that donation will be removed from the drawing. Winners of “Early Bird” prizes are eligible for (and their winning ticket will be automatically entered in) the Main Drawing. If held, winners of “Tail End” prizes are eligible for (and their winning ticket will be automatically entered in) the Main Drawing.Once an individual winner has been selected as a prize winner in the Main Drawing, that winning ticket is removed from subsequent drawings. There is no cash substitution for any prizes. Winners Choice winners will be notified using the contact information supplied and informed how to claim prizes. Only those na med as the entrant on a valid winning entry form are eligible to claim a prize, and such persons may be required to provide proof of identification acceptable to KR in KR’s sole discretion. KR shall not be liable for failure of notification arising from incorrect or illegible contact information supplied, or email or voice mail induced failures, or failure of entrants to respond to communications (or failure of KR to actually receive such responses regardless of cause) within 48 hours of KR’s first attempt to notify the winners. KR’s obligation is limited to making good faith efforts to notify winners. Once all winners are drawn and notified, names of winners (given name initial and surname) will be posted at the Knife Rights Ultimate Steel web site: www.KnifeRights.org/UltimateSteel. All prize winners are subject to applicable drawing procedures, restrictions, rules, directives, applicable laws and regulations, and are solely responsible for all applicable taxes, fees, assessments and charges relating to the prizes. Your participation in this fundraiser (including without limitation the act of submitting a donation and/or winning a prize) signifies and is conditioned upon your acknowledgement, agreement, covenant, representation and warranty to KR, based on good and valuable consideration, receipt of which you acknowledge, that (i) KR, its officers, directors, affiliates, professionals, personnel, representatives and members (collectively, “KR Affiliates”) shall have no liability whatsoever in connection with this fundraiser, the prizes (or their acceptance, possession, use, or misuse), or anything arising out of or relating thereto; (ii) you waive and release any and all claims you may now or ever have against KR Affiliates; and (iii) you will not make any claims against KR affiliates and shall be estopped from so doing. KR makes no claim regarding the actual value of any prize and is not responsible for the accuracy of any value estimate provided by prize donors or anyone else. Manufacturers Suggested Retail Price listed for production items which may be purchasable for a lower amount. KR does not guarantee the accuracy of the prize descriptions published. KR makes no warranty as to merchantability, fitness for a particular purpose, suitability or condition of the prizes. Prizes donated by individuals may have been previously used. Prizes subject to change without notice. Some prizes were not received by KR prior to the start of the fundraiser and KR is not responsible for the failure of any prize donor to fulfill the obligation to deliver the prize by the drawing date. If a winner chooses to accept a prize for future delivery, KR shall be deemed to have fulfilled its prize delivery obligation to that winner and KR shall not have further responsibility for prize delivery thereafter. A donation is not required to be entered in the drawing. To enter without making a financial donation, send a postcard with your name, phone number, email and address to: Knife Rights 2015 Ultimate Steel, PO Box 657, Gilbert, AZ 85299. Your postcard must be received no later than July 31, 2015 to be considered a valid entry. Only one postcard per person is allowed. KR is not responsible for undelivered postcards. Knife Rights is a 501(c)(4) exempt organization. Donations to Knife Rights are not tax deductible charitable contributions. Check with your tax professional for additional information.